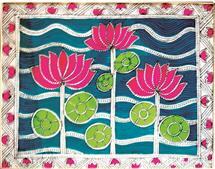 Four-hour workshop was taken on madhubani paintings at kala academy premises. Children who attended the workshop were of different age groups, from various schools of Goa. The main intention of the workshop was to introduce children from Goa to a folk art of eastern region. Children were quiet enthusiastic about the whole workshop and painted different forms of surya-the sun god. Manisha and Bandana took one-day workshop for the students of Fine Arts & Architecture. 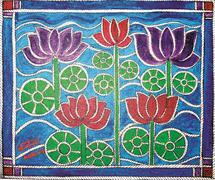 The artists explained and demonstrated the different forms and symbols of madhubani paintings. Professors of college also took part in the interactive session. Two days workshop was taken. 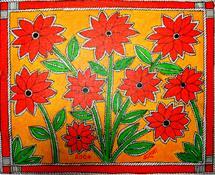 The basic intention of the workshop was to introduce ladies and children to a folk art, which was only done by women of Bihar. All the participants produced one painting on their own. More than two hundred ladies and children of all the age groups attended it. Kid’s club, Larsen & Toubro Limited, Vadodara, Gujarat.